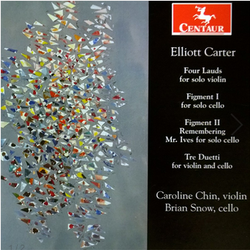 HILO Duo partners Brian Snow and Caroline Chin's recording of Elliott Carter's Music for Violin and Cello for Centaur Records has been included on Sequenza 21's list of 31 Memorable Recordings of 2013! Ms. Chin and Mr. Snow, who are married, maintain the frenetic performing and teaching schedules characteristic of New York freelancers. 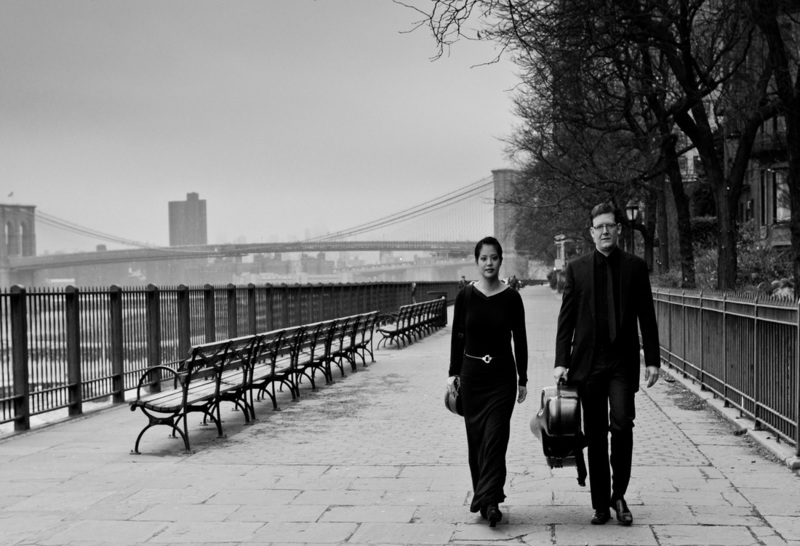 For this concert, “Violin and Violoncello Duos” — conceived in conjunction with Michael Vincent Waller, an ambitious young composer who regularly mounts avant-garde concerts at the Ludlow Street rock club Pianos — the couple offered a brief, smart survey of modern string duets. “Hommage à Hilding Rosenberg,” a terse, moody fanfare by Gyorgy Ligeti, neatly established the duo’s burnished sound and keenly attuned phrasing. “Dhipli Zyia,” an early, unpublished work by Xenakis, emphasized rustic, circling melodies and chugging, odd-metered dance rhythms. Mr. Waller’s “Allegoria Della Primavera,” inspired by Botticelli’s painting of that name, opened with insistent Minimalist patterns dispatched in swift, frolicsome sequence. In its second part choralelike phrases swayed in pensive near-stasis before swelling suddenly to a gamboling final flourish.